1. Please login or register to view contact information., 2. Please login or register to view contact information. 1. 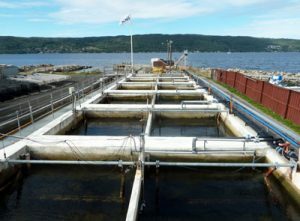 Solbergstrand Mesocosms: Outdoor, 12 hard bottom mesocosms, 13 m3 ambient 1 m depth sea water flow through, benthic communities from 0-1.5 m depth, ca 40 species of benthic algae, up to 90 species of macrofauna. 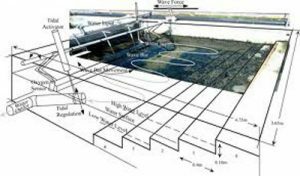 23 fibreglass and concrete seawater pools with volumes ranging from 26 to 550 m3, a number of smaller testing facilities on land, and the seabed outside the station to manipulate and control marine ecosystems. 2. 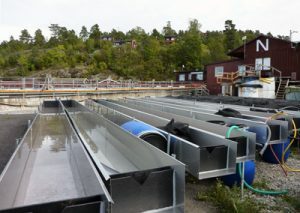 Solbergstand Flumes: Outdoor, 16 stainless steel flumes: 10 m long, 0.5 m wide and with a maximum depth of 0.5 m (depth can be increased by Plexiglas panels). Discharge can be up to 3 L/s per flume with the current set-up so the facility mimics headwater streams. Flumes are seeded with both substrate and biota prior to experimentation depending on research question. However, longer experiments (months to years), and with natural colonization from a stream that runs next to them, is possible. Each flume can be individually re-circulated or have flow through of stream water. Water sources comprise both of ground water (limited amounts and not enough for continuous flow through) and stream water that are distributed to the flumes through header tanks. 1. 10 laboratories for experimentation and analysis activities, among them an authorised infection lab for fish and a special lab for working with radioactive trace elements, two well-equipped workshops. Water flow regulation, wave generator, tidal regulation, temperature, salinity, pH, nutrient dosing. 2. Pumps, thermostats, groundwater dwelling. In addition temperature loggers, light meters, velocity meters etc.